Thanks to Sprouts Farmers Market for sponsoring this post. As always, all opinions in the post are my own. Grand Opening of Sprouts’ Second Store in Washington, in Lynnwood! every day from 7 a.m. to 10 p.m. So you can only understand my excitement, WOHOOO!!! And today being Wednesday, be sure to make use of the Double Ad Wednesday (read more here). & HOW TO SAVE BIG WHILE SHOPPING AT SPROUTS? Now, here is WHY YOU TOO SHOULD SHOP AT SPROUTS? Before I begin, here is what one of my readers said and I quote ‘When we were looking to buy a home one of the biggest criteria was to have a Sprouts store near us’. Wow, that is some serious Sprouts LOVE and such is the admiration for the brand, now I too understand why! Last night, I was lucky enough to get the first look and tour the new Sprouts store. 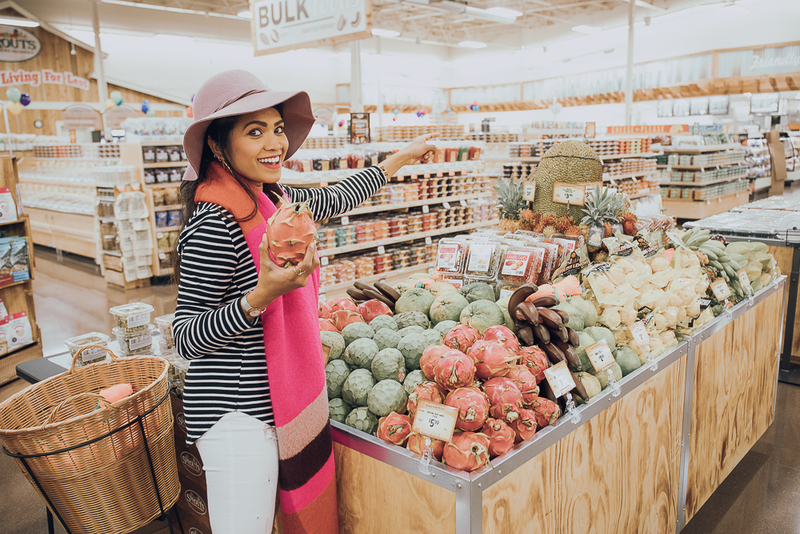 So, let’s take a peek at the new Sprouts store in Lynnwood, and also a peek into what’s in my shopping cart so you can make a grocery shopping list before your next trip to Sprouts. 1. Sprouts, It Is Healthy Living For Less - eating healthy food doesn’t have to cost you an arm and a leg, right!? Sprouts absolutely delivers on their motto! They offer a wide variety of fresh, natural and organic foods at great prices. And the variety they offer is extremely impressive! And mind you, different locations and stores could carry a slightly different selection for reasons you will read below. 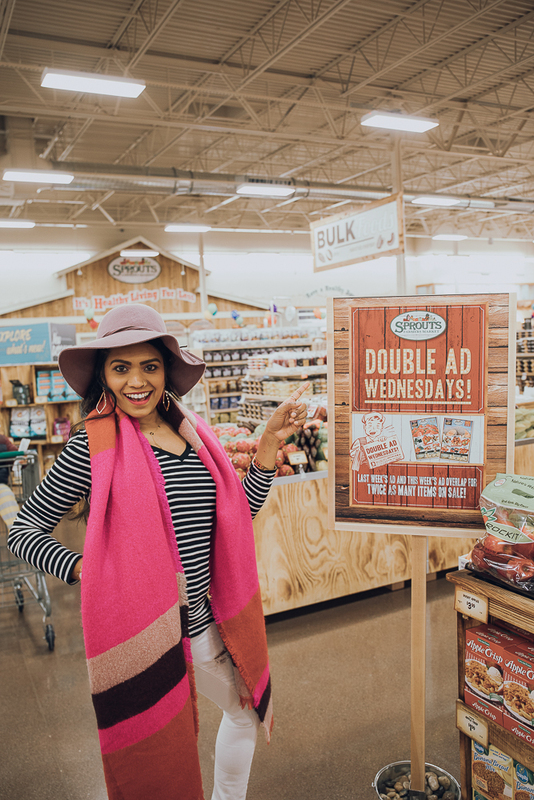 Last night, we all got to sample a variety of products from various sections in the store (they all came highly recommended by the Sprouts team members who were giving us a tour and they were spot on, and trust me that their recommendations surely made my grocery shopping list! 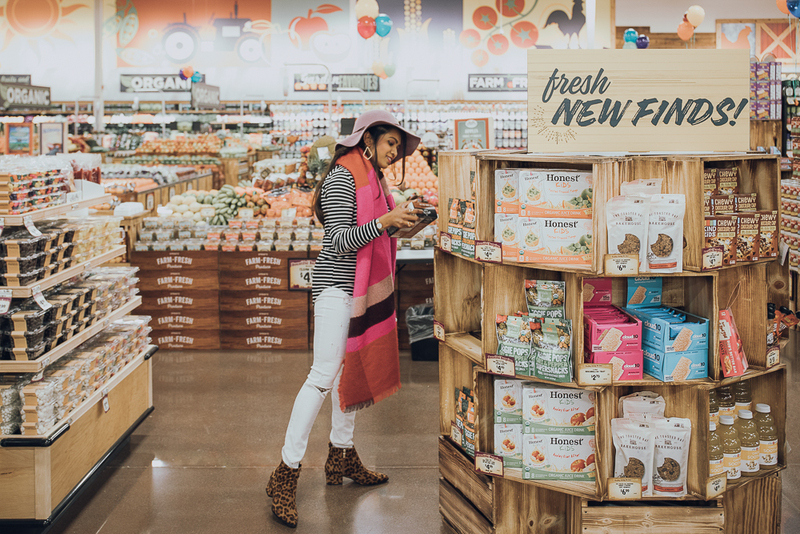 The snacks selection at Sprouts is ah-mazing, including so many healthy options (perfect for someone like me who is always on the lookout for healthy alternatives). 2. They have #freshfreshfresh Regular & Specialty Produce: Sprouts stores are built around produce. Produce is the heart of their stores so they are always located at the center, both literally and figuratively. And the prices are extremely appealing to a consumer like me, who kind of knows how much an avocado costs in every supermarket. Their offerings also include several tropical temptations aka specialty items and seasonal picks. The produce section is so vast and everything so neatly laid out that I could easily spend a good chunk of time just contemplating what to buy and what not to (I mean, there’s only so much space in my fridge, and only so much food I can eat). I was ridiculously excited when I saw jackfruit (I grew up eating it back home in India, but have never seen it anywhere in the US in the last 10 years), say what!? As the Sprouts team suggested, I might have to get the recipe on how to make curry with jackfruit fiber and seeds, after all, it used to be a favorite in our household. 3. 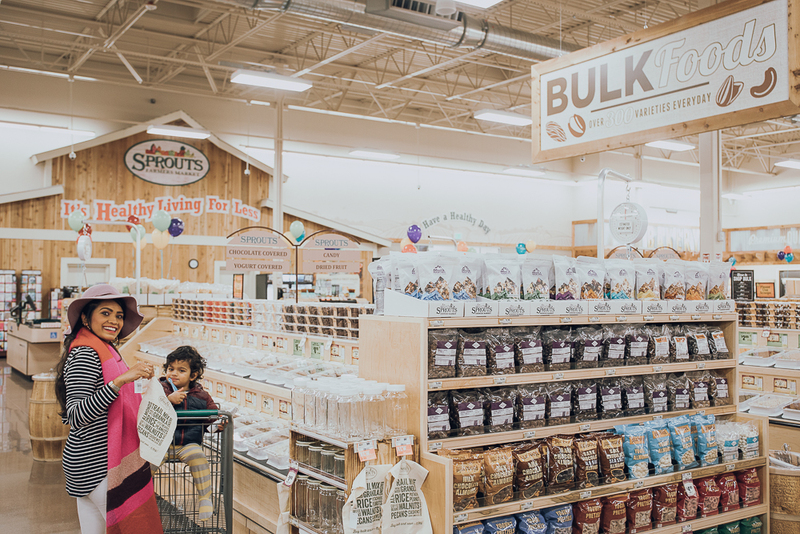 They have a wide range of Bulk Foods: Another big highlight, they have so many choices when it comes to products available in the bulk section - from a variety of nuts to dried fruits to a variety of flours to grains to chocolates to everything else in between. You can bring your own container (instead of using plastic bags), just have them weigh it before you load up the containers with whatever you want from the bulk section. Or you can also buy their reusable bags conveniently located right by the bulk food section. 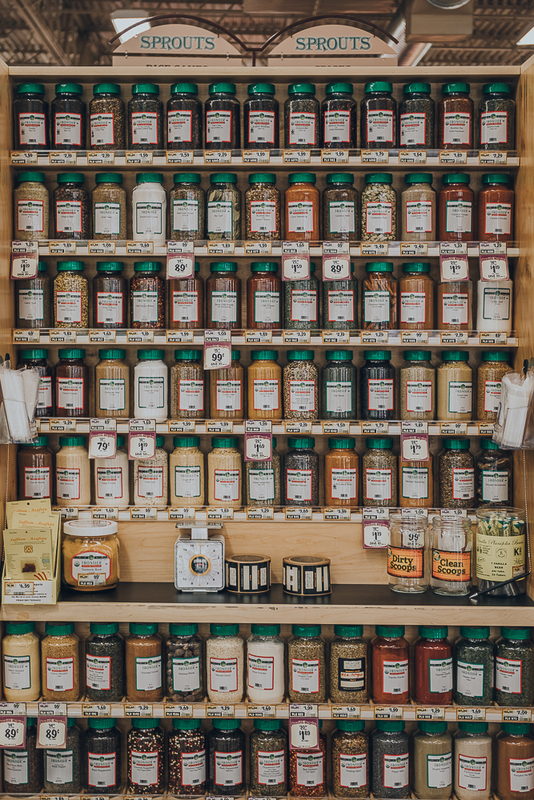 You can also buy bulk spices (located in a separate section in the store), my Indian tongue was super happy when I spotted that section last night (we Indians love a variety of flavors, so we load up on all kinds of spices, and this is exactly what I need). Speaking of which, there is also quite a selection of Indian and other Asian products that are available at Sprouts. 4. 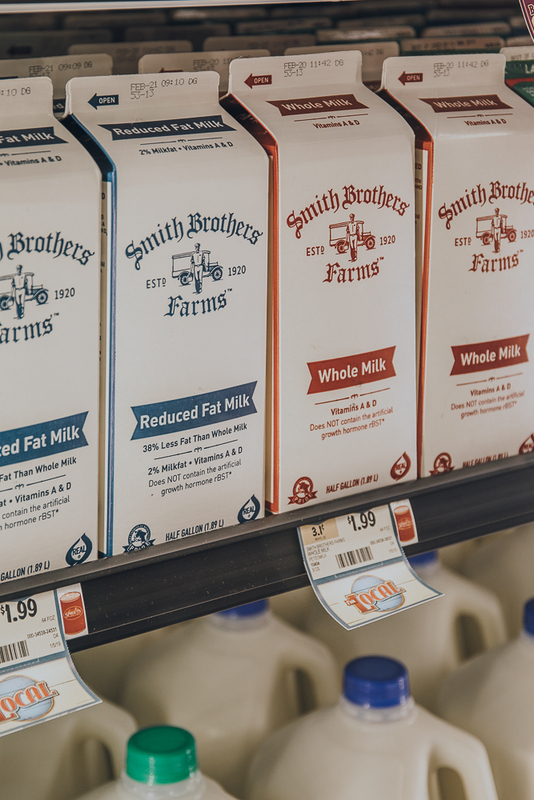 They sell locally-sourced products: Sprouts believes in supporting the local community and local economy, and eating local is also great for us consumers. Sprouts tries to offer locally sourced products as much as possible, hence food is fresher, of higher quality, and also cheaper. You will see local vendor stickers and information at the respective sections. Last night, we sampled CB’s Nuts Peanuts and their PBJ (oh yum! ), and a bowl of exotic fruits from Melissa’s Produce, plus golden berries (my kinda tart taste, I already know what I am going to make with the box I brought home (nope, not salad), so stay tuned!). 5. 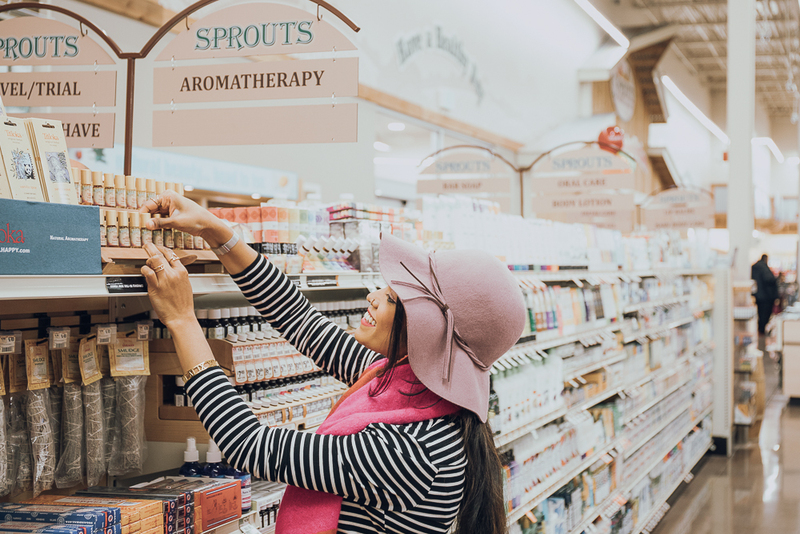 They have an exclusive selection in Body Care & Vitamin products: Yet another highlight - they carry an extensive selection of vitamins and supplements, over 8,000 products, wow! They also carry many natural and non-toxic wellness brands too (including probiotics, essential oils, shampoo, etc). And specially trained employees are always available to help assist you or answer your questions as you shop in this section. 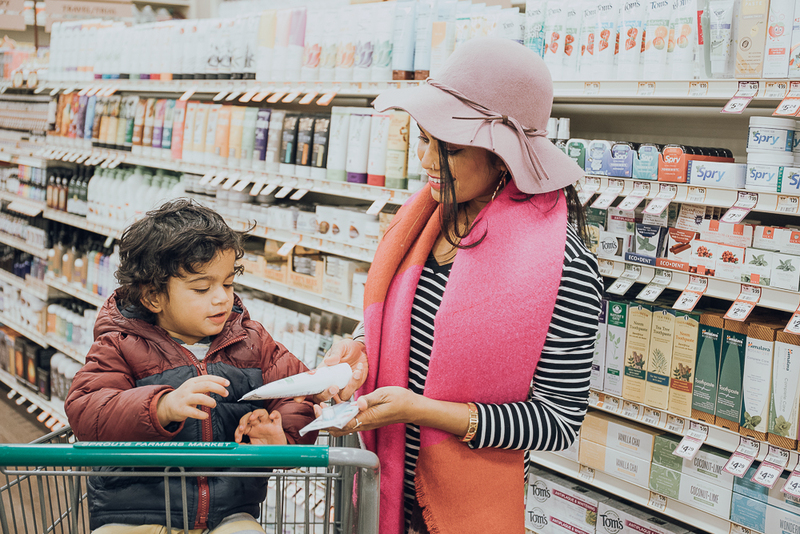 Again, I could spend hours just in this section going through every brand and their products, because, let’s face it, we all want to use non-toxic natural products whenever possible (especially when it comes to cleaning products or baby products). They even carry my favorite Dr. Bronner’s products too, yay! Best time to stock up would be when Sprouts has their Vitamin Extravaganza promotion i.e. 25 percent off all vitamins, supplements and health and body care items. Note to self: Subscribe to their newsletter so you are in the loop. DONE! 6. They stand behind the products they sell, and they want to satisfy their customers: If you want to taste-test something, then they will open a packet or cut a fruit/vegetable for you to sample for free. But if you do buy something and in case you don’t like it, then Sprouts has a 100% money back guarantee on all products, just bring it back to the store with the receipt. 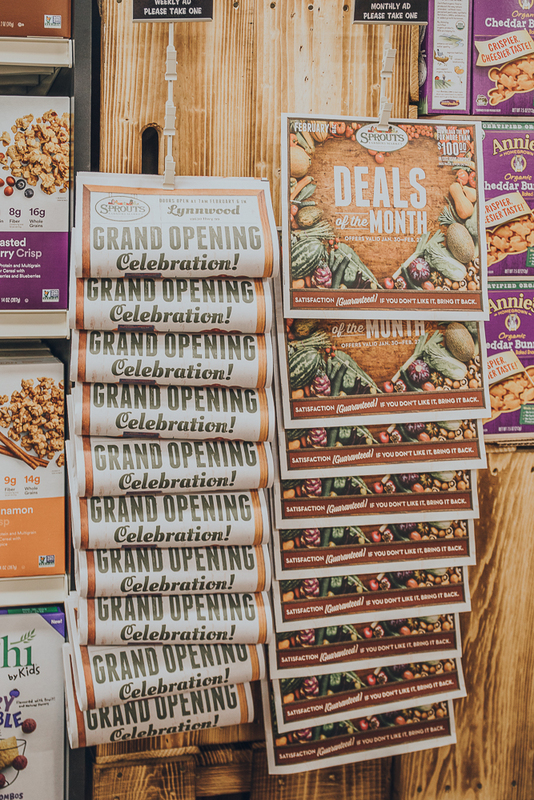 And mind you, Sprouts private brand offerings of pantry staples, frozen meals, and snacks are also huge and reasonably priced as well. 7. They participate in the Food Rescue Program: Sprouts donates produce that can no longer be sold but can still be consumed to the Food Lifeline. Of all the things I heard from the team last night, this was the most impressive! I have always wondered what happens to the produce that stores can no longer sell. Glad to know that brands like Sprouts are being responsible and doing their best to give back to the community, and wasting food is simply unacceptable when so many people starve every day! So kudos on that effort! 8. They empower Individuals to Live Healthier Lives: Not just through the products they sell at the stores, but beyond that too. The Sprouts Healthy Communities Foundation has donated more than $5.1 million to health and wellness related causes. By supporting these programs nationwide that broaden access to health and nutrition education, the Foundation empowers individuals to live healthier lives. 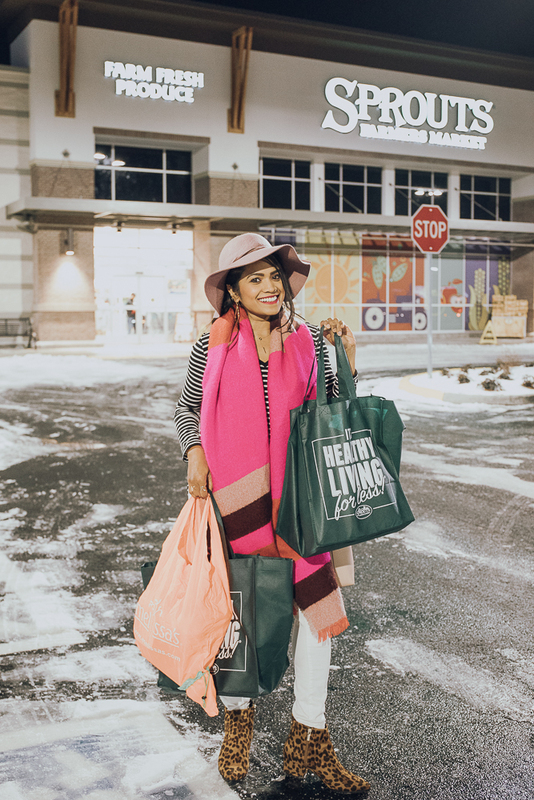 Again, as a brand (big or small) it is certainly our responsibility to give back to our community, one way or another, and I was once again impressed to hear about Sprouts efforts and initiatives! Huge Discounts and Savings (I previously shared all the details on ways to save while shopping at Sprouts, read more here). Make sure you download the Sprouts App, NOW! If you are not sure of any product Sprouts carries, not to fret, simply ask their knowledgable staff and they will help you. Their Market Corner Deli section looks so fresh and so inviting, you don’t have to starve while you shop you know (note to self!). But if you are in a hurry then they even have a sugar free section with packaged food for you to just grab and go. If you are not one to shop in-store, then you can even order online at Sprouts.com and get products delivered to your doorstep through instacart. 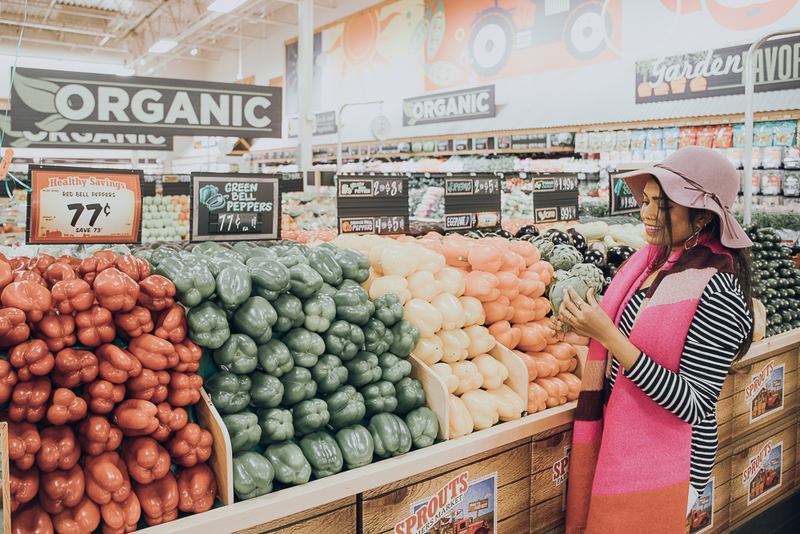 And as I finish writing this post, I am sitting over here wondering how many trips I will be making every month to Lynwood just to shop at Sprouts? And I have a feeling that it is going to be very many, not that I am complaining! I am even thinking I should probably plan some grocery-shopping-dates with my girlfriends (nope, I am not crazy at all for thinking that! ), especially after seeing that people are inspired by watching my stories about Sprouts’ grand opening and they already made a trip over there, #totallyimpressed! So, if you are a local or live anywhere in Washington, you ought to visit the Sprouts store (and you can thank me later)! 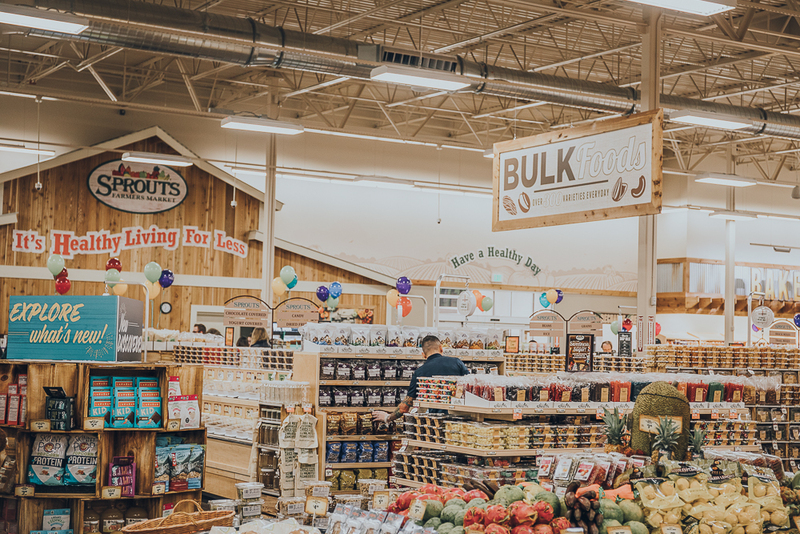 And next time you are in the Lynnwood area, grab something to eat from Sprouts and head over to do some shopping in Alderwood Mall (with all the $$ you would have saved from the grocery shopping trip) and your day will be made! But if you live elsewhere, then look up the closest Sprouts location on their store locator. P.S: Sprouts is also opening several stores across the US, so pray that one of them is near you. 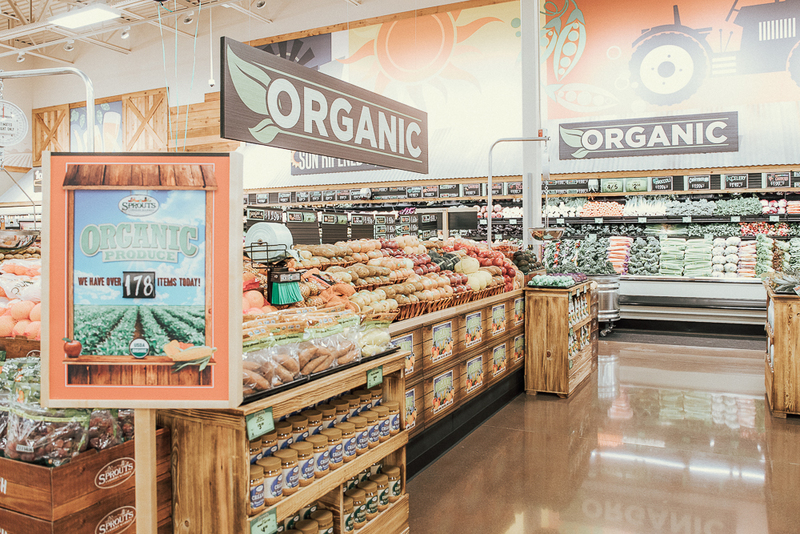 Enter a Giveaway to win $25 gift card to shop at any Sprouts store!